Download the 2017 supplementary materials (PDF format) for the book. Over the past thirty-five years, federal courts have dramatically retreated from actively promoting school desegregation. In the meantime, state courts have taken up the mantle of promoting the vision of educational equity originally articulated in Brown v. Board of Education. Courts and Kids is the first detailed analysis of why the state courts have taken on this active role and how successful their efforts have been. Since 1973, litigants have challenged the constitutionality of education finance systems in forty-five states on the grounds that they deprive many poor and minority students of adequate access to a sound education. While the plaintiffs have won in the majority of these cases, the decisions are often branded “judicial activism”—a stigma that has reduced their impact. 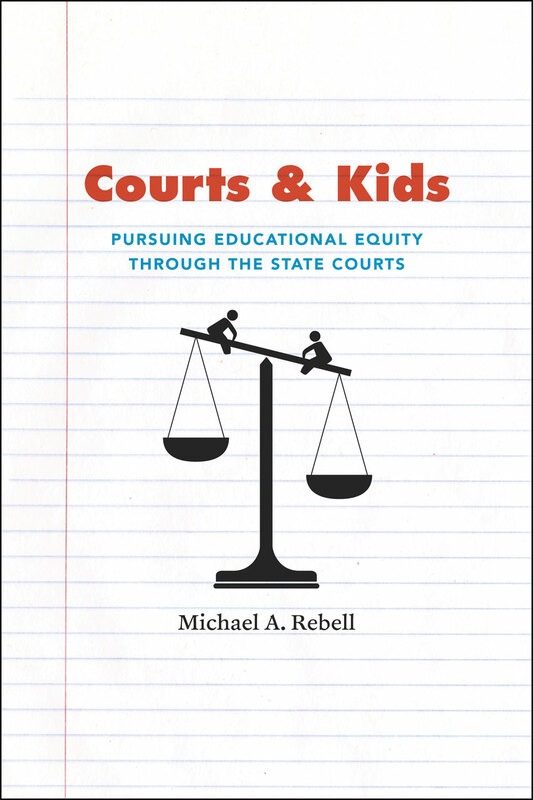 To counter the charge, Michael A. Rebell persuasively defends the courts’ authority and responsibility to pursue the goal of educational equity. He envisions their ideal role as supervisory, and in Courts and Kids he offers innovative recommendations on how the courts can collaborate with the executive and legislative branches to create a truly democratic educational system. "Rebell advances an interesting conceptual model for progressive efforts toward achieving equal educational opportunity in US schools. . . . Given that the subject matter of this text is often an issue of contention, readers’ perspectives and ideologies will be challenged and expanded by the book."